I understand how superwoman came into our society. In the 60’s, women had to demonstrate that they could do it all – having babies, raising children, running a household AND holding a paying job outside of the home – in order to be taken seriously. Our foremothers needed to juggle it all and juggle it well to earn us the seats we sit in today in factories, offices and boardrooms across America. 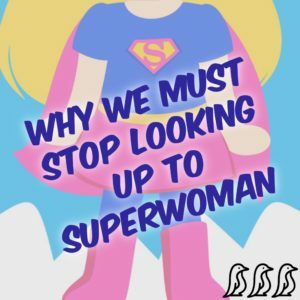 But what has continuing the superwoman persona cost us? Today, with laptops, WiFi and remote access, we seem to work non-stop. So much so that our health, family life and even our careers are all suffering. So how can we reclaim some semblance of work-life balance in 2017? 1. Take a weeklong view – some days it is all about work and it can be upsetting, especially when you come home and the kids talk about all the fun things they did with the sitter that day. Instead, look at the week to see where you can carve out some “life” time to achieve some balance during the week. 2. Schedule “life” time – up to even the 1980’s, managers would physically lock the main office doors at a certain time, forcing people out of the office to do other things in their lives. This allowed parents to spend time with their children, work on a hobby and finish household chores. Unfortunately, no one is forcing us off our devices, or even out of the offices these days. Like every important meeting in our lives, we need to schedule in “life” time. Treat gym time, date night, and even quality time with your children, as you would an offsite appointment or client meeting. Put them into your calendar as mandatory meetings so that you won’t be double booked! 4. Let it go or delegate – If one of the balls you need to drop is laundry, chances are you’ll be running out of clean clothes or money (to buy new clothes) soon. For those chores like laundry, cleaning or cooking that are essential to keeping a home running, delegate it either to a professional business like the local laundromat or hire a part-time housekeeper. 5. Talk about priorities as a family – whether it’s between a couple, or a family with school-aged children, it’s important to talk about what’s on everyone’s plate for the upcoming week, month, or school year. This gives each family member a chance to say what is and isn’t important to him or her. For example, I tell the kids I can only go on one school trip with them this year. They get to choose which school trip (also can be other activities like performance, sport meets, etc.) they want me and/or my husband to join. This also works well for the parents to let kids know if they have an important meeting coming up and will need to focus on work for a particular period of time. 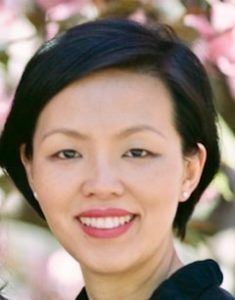 Yi-Hsian (pronounced “E-Schwan”) is a mother of two elementary school-aged children. She also knows first hand that for people to fully lean into their professions and passions, they need to get their home life running as smoothly as possible. She is committed to helping families reclaim precious time by having the best support at home.